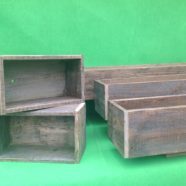 These flower boxes are made from an old fence. 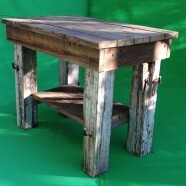 This indoor/ outdoor Island was made of wood from an old pole barn. 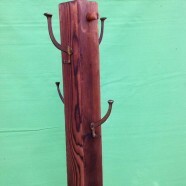 This Coat Tree is made from a Redwood rail we found at the Habitat for Humanity Re-store. 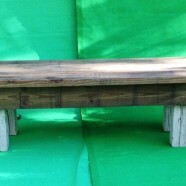 These benches were made of wood from and old pole barn. 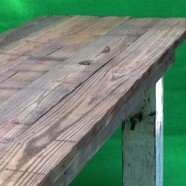 This Outdoor Table is made of wood from an old pole barn. 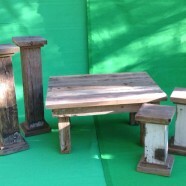 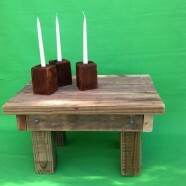 These items are all made of wood from an old pole barn.